Bald-Faced Hornets are protective of their nests and will sting repeatedly if the nest is physically disturbed. 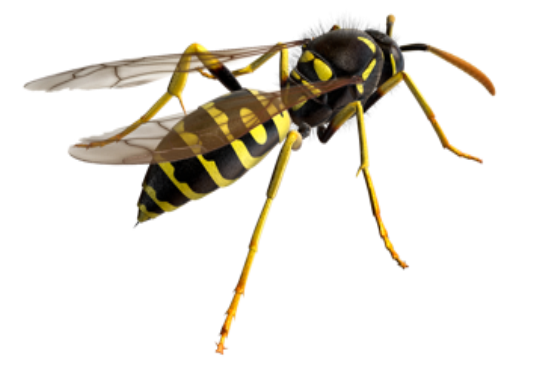 They are more aggressive than both the wasps normally called Yellow Jackets and members of the Vespa genus, and is not considered safe to approach the nest for observation purposes. 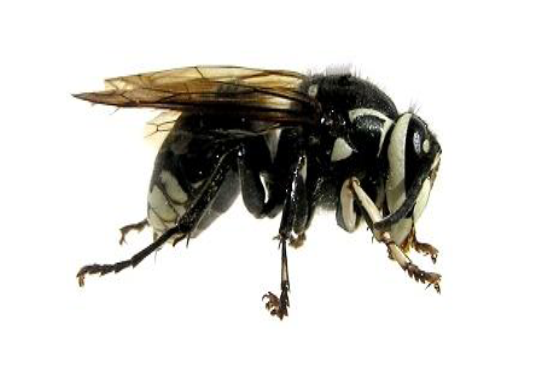 The Bald-Faced Hornet will aggressively attack with little provocation. Frequently, these pests build hanging honeycomb-shaped nests from eaves, overhangs, or tree branches. Colors and sizes differ among species. They are territorial and extremely aggressive. 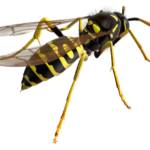 Generally, many wasp stings are more painful than bee or scorpion stings. Great Goldens are solitary wasps; they live independently and do not share in either next maintenance or in the caring of their young. 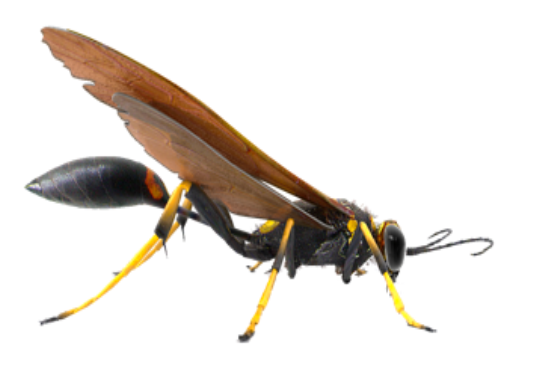 Also known as the Digger Wasp. There are over 130 known digger wasp species. These tiny insects don’t sting, but they can be a nuisance nonetheless. Mud Daubers construct nests comprised of mud tubes high on walls and under overhangs. 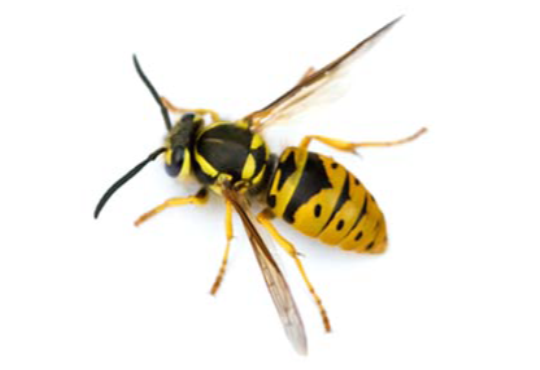 Yellow Jackets typically build nests that hang from trees and buildings, but they will also nest in the ground and in wall-voids and attics. Their nests have one entrance and many workers that protect the nest. 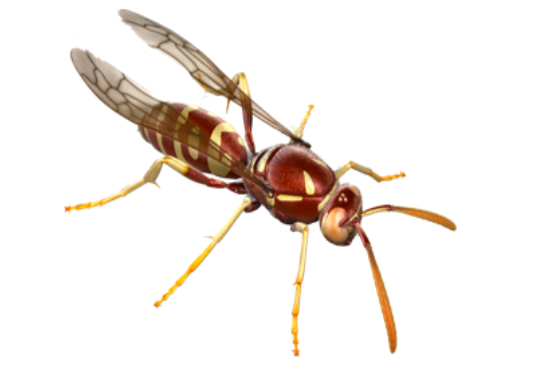 They have a lance-like stinger with small barbs, and typically sting repeatedly.